Ready to get on board with dictation (finally)? Like many tools that have come before it, dictation is a new and exciting opportunity to write better, faster, and smarter. But many writers still believe it's not for them. Perhaps they've tried it in the past and it hasn't worked. Or perhaps this new technology is confusing, expensive, or frustrating, and that's held them back from taking advantage of it. 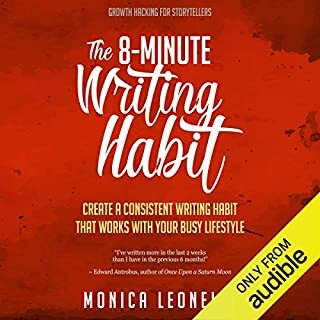 If you're ready to take the next step and learn a new skill set that will give you a huge advantage over what other authors are doing today, listen to Dictate Your Book and start working through the challenges that are holding you back from reaping the benefits of dictation. For authors who are ready to take their productivity to the next level, this short guide will help you get started! 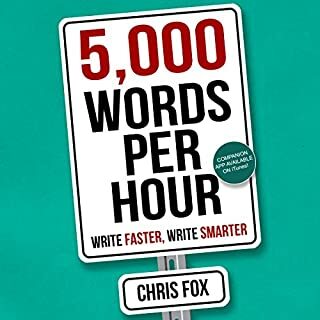 Would you listen to Dictate Your Book: How to Write Your Book Faster, Better, and Smarter again? Why? Would you be willing to try another book from Monica Leonelle? Why or why not? Sure. She seems to be good at laying out things in a practical and not rigid manner. Her voice worked with the subject matter just fine. This is, essentially, a text book so inflection is less important. What insight do you think you’ll apply from Dictate Your Book: How to Write Your Book Faster, Better, and Smarter? To start with, I will be looking at my hardware such a microphone and other tools. 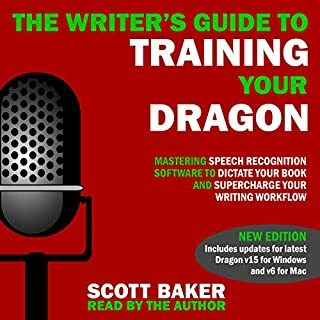 This is a basic primer for using, primarily, Dragon voice to text software. With some handy general "how to" and "don't do that" advice. While not a long book it is certainly a good introduction to technology, workflow and mindset to make it work. You won't need more than this book for your quick and dirty dictation tips. Read today, start writing faster tomorrow. What did you love best about Dictate Your Book: How to Write Your Book Faster, Better, and Smarter? A strange question for this type of book. As there is only one character... this gives me time for a quick side bar: I read somewhere that if a reviewer mentions the Author of a book by name that you should discount the review...it suggests perhaps that the reviewer knows the author or something. I take issue to that because I think part of the reason that MONICA is so great at this productivity series is that she writes in a style that connects her to the reader...she becomes your bud...your mentor...she's been where you are and there is an ease in which she passes on the information that makes it easy to digest. At the end you feel like you are taking a class with a contemporary. Cindy Piller is amazing as always. She has a voice that pleasing and clear...great breath control and diction. And let me tell you, narrating a book about dictation can't be an easy task. I've now completed the Monica SAGA with this book and feel like Cindy is so good at nailing the tone of Monica's writing and humor that I will more than likely find it odd the next time I hear Monica's real voice. Chapter Four: Dictation Tips and Tricks is really useful. I went from Zero to kinda sorta DOING the thing in a very short time. Check out sections C (commands) and D (Frustrations) for a lot of really simple, sage tips. And honestly, the "Answering to Toby" trick (even I though I'm sad to say I didn't get the Friends reference) is worth the price of the book alone. Seriously...anyone who's ever wanted to throw his/her smartphone across the room because of an auto-correct issue, will LOVE this trick. I was (and still am) a Luddite and if it weren't for that dreaded beast, Carpal Tunnel, I wouldn't even consider dictation regardless of how much EVERY AUTHOR WHO CHURNS OUT A LOT OF WORKS SAYS THEY USE IT. So trust me, I went into this looking for a reason that I couldn't do it. This must be a common refrain because there's an entire chapter dedicated to just that. and I went from "please validate why I shouldn't try" to actually dictating something of substance. It works. It. WORKS. give it a shot. I found this book to be very informative. It was just what I needed to get me back on the dictation path. (I'd tried it before and found it a big FAIL.) After reading this book I followed the author's suggestions and this week I've been dictating over five thousand words a day. I would highly recommend this book to anyone wanting to increase their productivity with dictation! This is quick motivational introduction to dictating as an author. It is just what I wanted. Its easy yey specific. 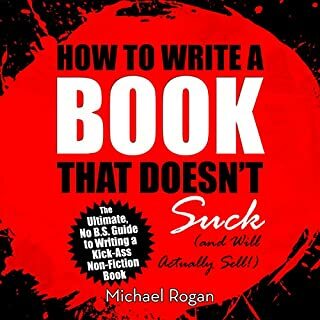 Yes, I would recommend this book to any of my friends intending to write books for a living. Having used speech to text to hit 12,000 words in my manuscript during a single writing session, I know this author is correct in her assertion that speech to text is faster than typing. When typing, my best had been 5,000 words in a single writing session. What was one of the most memorable moments of Dictate Your Book: How to Write Your Book Faster, Better, and Smarter? When she suggested using an outline to ensure speedy writing. That also rings true to me. Cindy's voice varied me right through to the end. Listening to her, as opposed to reading text, allowed me to consider the information without having to stop reading. There were a lot of ideas, but one in particular stood out for me. The idea of using a detailed outline and beat cards to ensure I know exactly what I'm going to write/dictate before I start writing was an excellent idea. Can't get lost with a roadmap like that. If you write for a living, or wish to, this book is essential reading because speech to text is the way of the future for writers. Writers who stick to their keyboard will be left in the dust by other writers who learn to use speech to text software. The difference in speed is just too great to ignore. 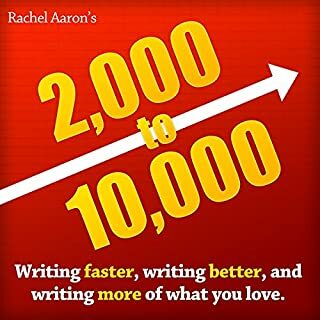 Where does Dictate Your Book: How to Write Your Book Faster, Better, and Smarter rank among all the audiobooks you’ve listened to so far? This one ranks high among 'how to' books. What other book might you compare Dictate Your Book: How to Write Your Book Faster, Better, and Smarter to and why? 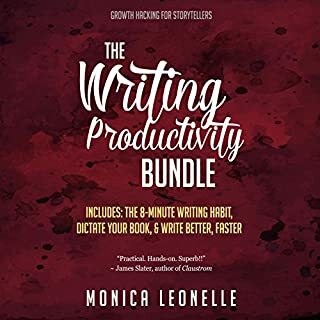 Monica Leonelle gives a complete roadmap on how to write faster, better, and smarter using an innovative technique. My favorite part is how easy it is. An idea from the book that I remember is taken step by step dictating a book is doable. I would definetly recommend "Dictate Your Book" to any writer who is looking to dramatically increase their word count. Monica takes you from start to finish. She lays it all out and lets you learn from her mistakes. She knows that as a newbie you can get discouraged easy with this new technology and addresses every issue you can think of to keep you on the right track. She also gives great recommendations on equipment and even suggests free software to get started. I am a published author of three books hand typed technical journals on aquaponics and photography and just starting DICTATIO with Dragon. This is a quick "read" litan that will save many hours of frustration. I am going to listen to it one more time and be ready to jot down notes....lots of tips! 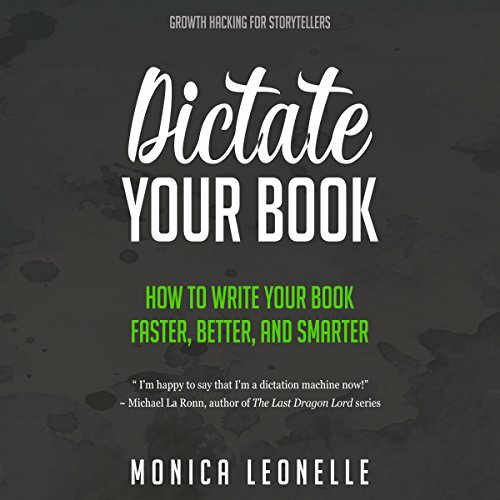 What did you like most about Dictate Your Book: How to Write Your Book Faster, Better, and Smarter? Have you listened to any of Cindy Piller’s other performances? How does this one compare?